Vijay Devarakonda's Arjun Reddy is running strong without slowing down at the box office, especially the US box office. Arjun Reddy had surpassed Vivegam's US collections. It entered 1 million dollar club in the US on Monday. #ArjunReddy has officially crossed 1 Million mark on Monday, Aug 28th at the #USA Box office.. Looking at increasing popularity of the film, the distributors have decided to add 37 more screens in the US on its second week. Usually, the trend with the screen count is usually reduced due to less collection or new releases. But with Arjun Reddy, the distributors are planning to add more screens owing to a strong performance so far. This is rare, especially in the internation market. Arjun Reddy has been hailed by both audience and film critics because of its simple yet heart touching story. The plot revolves around a doctor who turns alcoholic following his breakup with his girlfriend. The story tells us how he deals with his emotion and what impact it has on his career. Vijay's performance in the movie has been praised by several celebrities. Film makers have also appreciated Arjun Reddy for its gripping storyline. On the first day of its release, the movie collected Rs 7.5 cr in India and Rs 13.7 cr worldwide. Until Monday, the film's total collection stood at Rs 27.6 cr in India and Rs 47.34 cr worldwide. Vijay starrer Arjun Reddy is already a success in India and US. 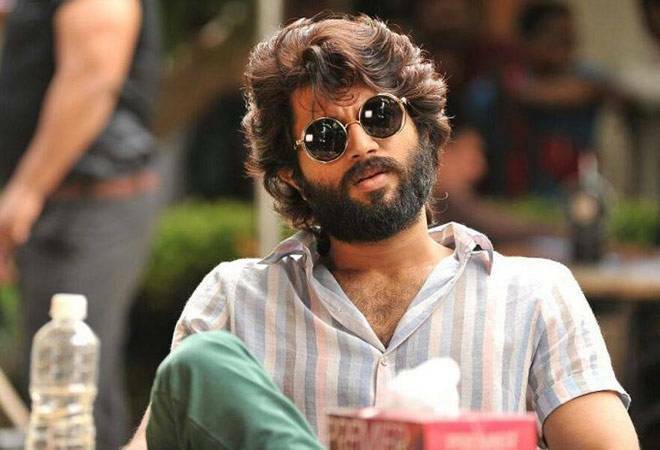 Arjun Reddy is directed by Sandeep Vanga. Shalini Pandey plays the female lead in the movie. According to reports, Arjun Reddy is made on a budget of Rs 12 crore.